This Friday, we’re celebrating a year of professional development, a year of teaching, a year of reading, a year of writing, a year of poetry. The list below contains five of our most popular blog posts this year. And if you’re making a New Year’s Resolution to write more, or to put yourself out there professionally, you’re always welcome to share a post with us and we’ll publish it. Just contact Kate (kap 17 @ scasd . org). We accept book reviews, opinion pieces, lesson ideas, and many other types of writing. So we’re finishing up a modern play unit (see my previous thoughts about The Flick), and I wanted students to see how popular plays can turn into films. 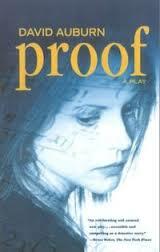 I decided to show the 2005 film adaptation of David Auburn’s Proof. 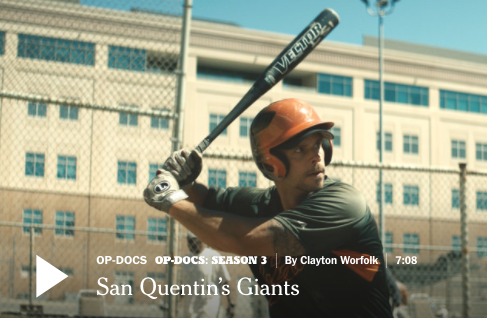 What I love about this film is that we can watch 20-30 minutes of it and then have an in-depth 20-30 minute conversation about it. Also, it doesn’t hurt that the play is PG-13, so I don’t have to worry about inappropriate scenes (there’s one intimate one, and I just fast-forwarded through it.) The issues in the play include many my students want to talk about: mental illness, taking care of ailing parents, making decisions about college, relationships (between siblings and significant others). 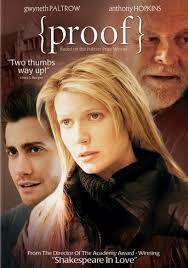 Gwyneth Paltrow, Jake Gyllenhaal, and Anthony Hopkins do an incredible job bringing the play to life. I asked my students how they can see this film as different from others since it was originally a play and they responded: the scenes seem to be only in a few settings, the dialogue seems more intense, and the setting seems less important. I was fascinated in the differences they noticed. So if you’re looking for a great mini-unit for your students, reading, watching, and discussing Proof might be just the thing to engage seniors in class discussions. Because Stranger Things does not simply rely on nostalgia for viewership. Those of us of a certain age that can remember being an adolescent in the 1980’s will adore it. A television show has not encapsulated the 80’s this well since the short lived series, Freaks and Geeks. Although Stranger Things may be steeped in nostalgia, it is so much more than a Wayback Machine. I have talked with some millennials who do not remember phones with cords on them, ham radios, or walkie-talkies, and they still love the show…and so will you. Because everyone is referencing it! If you were to pass by my favorite pizza shop in NYC, and they had this special board outside, or this one, or this one, or this one, you wouldn’t understand the references having not seen the show. Watch the show, get a good chuckle, and get a slice of the Demogorgonzola! From a small pizza shop in Brooklyn, to the venerable New York Times calling Stranger Things the show of the summer and an eerie nostalgia fix, it seems as if everyone is watching, so shouldn’t you. Because the music is just as beautiful as the camera shots. I haven’t been this enamored with a soundtrack since Twin Peaks. The first installment of the soundtrack was released last Friday with the second volume to be released today. The official soundtrack(s) contain all of the gorgeous original synth music created by the band S U R V I V E, but for those wishing to explore the popular 80’s music featured in the show there are some mixes out there. One Youtube user has created a playlist showcasing some of the music, and a DJ from the UK, has mashed up the music and the dialogue of the show into a whimsical mix. When your students walk into your classroom in the morning while you are listening to the Stranger Things’ soundtrack, you will receive some major cool points, and I’m not sure that you want to earn those points by bonding over Pokémon Go. Because you don’t have the time to rewatch all the films that it is indebted to. The Goonies, Stand By Me, Poltergeist, Alien, E.T., Close Encounters of the Third Kind, and Stephen King’s It would be great to rewatch before school starts, but between last minute planning, and squeezing out every last drop of summer, you might not have a spare 14.5 hours to devote to rewatching all of those films. BUT…for a paltry 6.5 hours, you can watch a television show that embraces all that is good within those films, and uses those elements to create something just as unique and beautiful as the original source material. Because even the font of the title sequence is totally awesome! When was the last time people were so engrossed in the font of a television show’s title sequence? That’s right…even the font is being discussed, and rightly so. The title sequence is great overall, but there is something about the font that gently took my hand and brought me back to my childhood. I later found out that the reason for the font’s familiarity is because it has been in my hands countless times as a youth and an adult via the covers of Stephen King and Choose Your Own Adventure books! 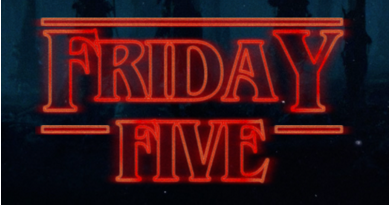 ITC Benguiat is the font’s name, and its creator is pleased with the way it is used in Stranger Things. There is even a web tool that will allow you to “strangify” text of your own! Brian teaches Social Studies to 10th and 11th graders at State College Area High School. He is the father of two boys, married to an artist, and a history, film, music, and art enthusiast.